Pay rises in 2015 will be bigger than they were in 2014, say two sources – BoE MPC member Martin Weale and CBI deputy director-general Katja Hall. 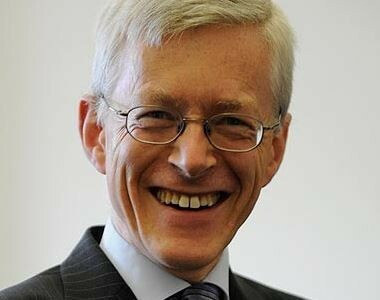 Mr. Weale, who has been a member of the Bank of England’s interest-rate setting Monetary Policy Committee (MPC) since July 2010, said in a BBC Radio 5 Live Wake up to Money programme that there is growing confidence among employers. Mr. Weale believes this greater confidence will lead to higher pay awards next year. His comments came as the CBI reported that UK companies are planning to loosen their grip on wages next year. The UK business organization added that pay increases will be held back somewhat by higher costs for workplace pensions and holiday pay, as well as hitherto sluggish productivity growth. A CBI survey found that 43% of companies said they planned to increase wages at their next pay review by the same rate as inflation (retail price index), while 12% said they would probably raise pay by even more. In 2013, the figures were 42% and 7% respectively. Mr. Weale believes interest rates should go up now. According to the CBI survey, prospects for young Brits are better now than in 2013. However, the country still has a serious skills gap, which could make it harder to fill some jobs. Official data show that pay awards are starting to pick up at last, after five years of below-inflation annual rises. The CBI says its findings suggest this upward trend is likely to continue. The Office for National Statistics (ONS) announced last week that average pay (excluding bonuses) had increased at an annual rate of 1.6%, which was higher than the 1% inflation rate. Mr. McCafferty said last week that UK wages have reached a turning point.